This model is pure class and is the early model before the drawer was added to the design. 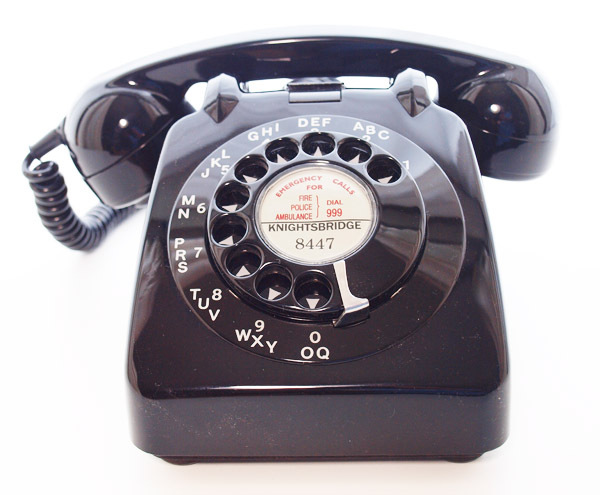 This is a wonderful example of a hard to find telephone in undamaged condition. This was manufactured in 1936 and as you can see is very elegant and beautiful. It is made of a thermo setting compound and so is very brittle and so to find them in this condition is quite rare. The handsets usually have heavy cracks but this one is as near perfect as they come. The cradle and base is slightly darker. It was originally mounted to a bell set as you can see where a cable has left very faint shadow in the Bakelite from 70 odd years of sunlight tracking across it. I love these early telephones and they make me tingle just thinking about all the conversations that may have been made over the years. This one has been upgraded with 200 series internals to give perfect speech quality and it also has a 1950 dial and alpha numeric dial face. I would recommend this to someone that can give it a good home without too much crashing about as they are less robust than the later Acrylic 1950s models. 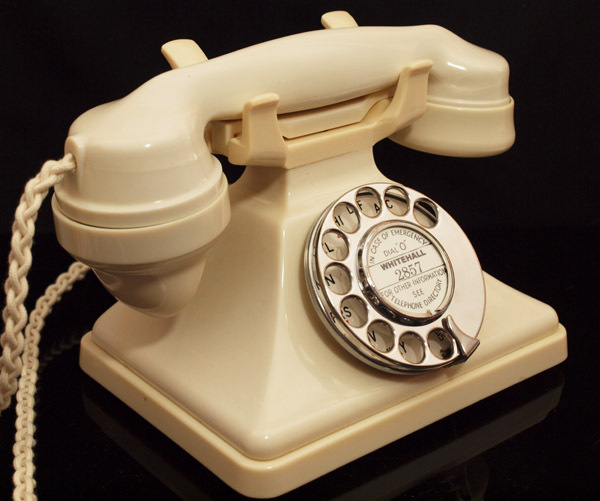 I can fit an internal bell at no extra charge or you can buy a plug in bell set 64d or a wall mounted Ivory No26 with a perfect reproduction case. See add on items to the right side by the checkout. Please state in the notice to us if you would like an internal bell fitted. Please note the internal bell is not loud and will be more suitable in a bedroom or in conjunction with other telephones in the house. I can fit a dial label with your information at no extra charge. Fully working perfect reproduction ivory bell set. Genuine GPO No26 internals. New casing and line in. 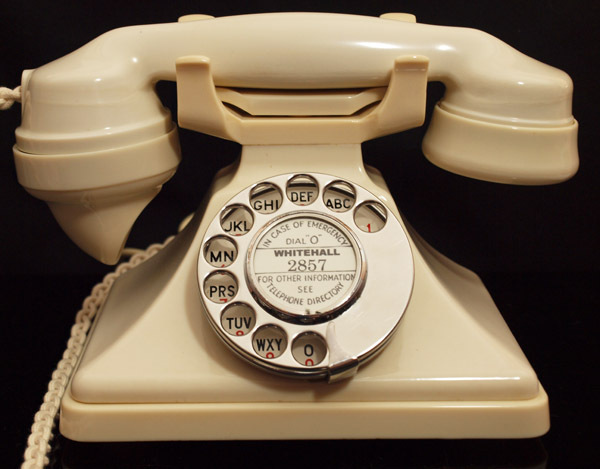 Note it has a set of genuine screws to enable it to be fitted to a 232 telephone. SOLD Another available.